A buy-to-let mortgage is a relatively new financial product, emerging onto the market in 1995, which allows anybody to purchase a house or flat with the intention of letting it out. This product allows you to borrow the finance needed to buy the property based on the rental income generated rather than your actual personal income. As long as the rental income is greater than 130 per cent of the interest payment you could purchase the property. Typically you need 15-25 per cent of the purchase price as a deposit, so for a £100,000 purchase price you would need between £15,000 and £25,000 and the lender would fund the other £75,000 to £85,000. A higher deposit is needed relative to a residential property – typically 0-10 per cent, as the property is not owner-occupied and the lender’s mortgage payment depends on a suitable and reliable tenant being found. Hence this presents a higher risk to the lender. If they ever had to repossess the property they would only need to achieve 85 per cent of the purchase price. This may only be the true market value of the property after it has been tenanted or if there is a property slump at the time of repossession. 60 months x £200 = £12,000 as a deposit level. So if you can buy a property for £73,333 in the area of your choice then your deposit level is sufficient. If there is nothing for sale under £100,000 then you need to save for longer. It is crucial to calculate the maximum purchase price so you know what you can afford to buy. There is no point looking at a property that is in excess of this maximum as no lender will lend in excess of 85 per cent LTV. If you can’t find what you want then you’re going to have to save some more! So the deposit level is key to the whole thing – you need to have enough. It is also important to ensure your maximum purchase price is in excess of the lenders minimum purchase price – see below. Almost all lenders have a minimum purchase price. The minimum purchase price starts at £6,500 and rises up to £75,000 for certain lenders. If your purchase price is below their minimum purchase price then the lender will not consider you under any circumstances. So the purchase price can dictate the mortgage you can get. Studio Flats – These are flats that have one main room that is used as a lounge and bedroom, plus a kitchen and a bathroom. They are excluded, as they can be difficult to sell if there was a property price slump. Ex-Local Authority Houses & Flats – These are properties that were once owned by the local council and subsequently sold on to private people. They are excluded, as they are associated with the lower end of the property market. Flats above commercial properties – These are excluded as the commercial property below could be let out to an Indian or Chinese take-away at some later date. Because of the smell of the food it would lead to a decline in the market value of the property. Flats with more than four storeys in the block – These will be considered as a high-rise block and at the lower end of the property market. Multiple Title properties – These are properties where a freehold exists with a number of long leases and you are trying to buy the freehold. An example of this is a block of flats. Non-standard Construction – If a house is not built with bricks or does not have a pitched tile roof it is deemed non-standard. For example, some houses may be constructed from poured concrete. Despite being perfectly fine houses, lenders may consider these properties inferior to the standard construction properties. The type of property can dictate the mortgage you can get. What the lender is trying to establish is – are you a good bet? They will need to know that they will get back their money plus interest with the minimum of effort. They will need to establish whether you are creditworthy. Electoral roll – Details of whether you are on the electoral roll as some lenders require you to be on it before they can lend. County Court Judgments (CCJs) – These arise when a debtor has taken you to court to enforce payment of a debt and the debtor won the case. The court holds this information for six years from the date of the judgment. They also record if you subsequently paid the judgement. Individual Voluntary Arrangements (IVAs) – This is where you have become bankrupt and unable to pay your debts. Once you have been made bankrupt and the debts have been settled then you become a discharged bankrupt. Only once you have been discharged can you have any hope of obtaining credit again. You are automatically discharged after six years. Credit accounts – These are all your loan accounts that have been active in the last six years and whether you have ever defaulted on them. Typical accounts are your mortgage account, credit and store card accounts and personal loans. Repossessions – Details of any house repossessions that have ever occurred. Previous searches – These are previous credit searches by other lenders that you have made a credit application with. Gone Away Information Network (GAIN) – This is where you have moved home and not forwarded on the new address and not satisfied the debt. Credit Industry Fraud Avoidance System (CIFAS) – This is where the lender suspects fraud and just flags it up. You cannot be refused credit based on a suspicion. Your credit file dictates the mortgage you can get. The key factors are CCJs or defaults. If you have any CCJs or defaults (points 2 & 4 above) you will be restricted to adverse credit lenders who charge higher arrangement fees and interest rates. If you have an IVA, repossession or GAIN on your file it is unlikely you will get a buy-to-let mortgage but you will still probably be able to get a residential mortgage depending on when you had debt problems. It is worth noting that the buy-to-let mortgage market is further developing and a suitable product may come on to the market soon. There is one key thing you should remember when filling out your form – do not lie! If lenders find out they will demand repayment in full and they could inform the police of fraud – the charge being obtaining finance by deception. The credit reference agencies are becoming more and more sophisticated. They log every bit of information you put on every credit application and if you submit an application that was slightly different from a previous application they will flag it up. FIXED Fixed This is for the low risk-taker. It ensures that the monthly mortgage payment is fixed for a period of time, usually between 1-10 years. Capped This is also for a low risk-taker. It ensures that the mortgage payment never exceeds a certain amount but if interest rates fall then your mortgage payment can fall. No downside risk and only upside potential! VARIABLE Tracker This is where the interest rate being charged follows the exact rate being set by the Bank of England + a buy-to-let interest loading, typically 1-2%. You are fully exposed to the Bank of England interest rate fluctuations. Discount This is where the initial interest rate is discounted by 1-4% for a specified period of time. This could be a discount on a tracker or a standard variable rate. You are exposed but because there is a discount in place you don’t feel the fluctuations quite as badly. Stepped This is where the discount is reduced over a number of years. So you would be entitled to a 3% discount in year 1, 2% discount in year 2 and 1% discount in year 3 for example. Variable This is just the standard variable rate set by the lender. Your mortgage payments are fully exposed to interest rate fluctuations. You have to be careful of the tie-in/lock-in periods that may exist with all these products. These are the minimum periods that you have to remain with the lender without incurring financial penalties if you wish to redeem the loan because you want to sell or remortgage the property. Some lenders provide all the mortgages above and some lenders only provide some of these mortgages. The type of mortgage you want dictates the lender you have to approach. Some people require face-to-face contact with their lender. If this is so, then you can really only approach high street banks and building societies. There are many lenders who do not talk to the public and only liaise with your mortgage broker. Personally I don’t mind not having face-to-face contact, as my mortgage broker is quite efficient in handling my queries. 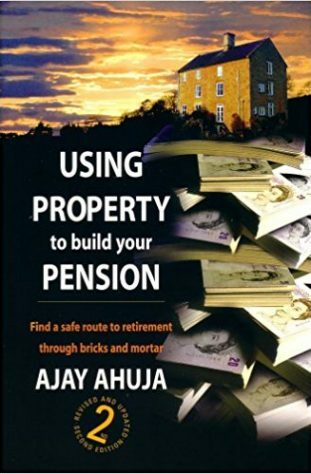 The duration of the mortgage needs to fit in with your strategy of when you wish to retire. If you wish the duration of the repayment mortgage to be 30 years and the maximum term being offered by one lender is 25 years then this lender is not useable. You need to source the lender that meets your own timescales. If you need to earn a positive cashflow from your property investment and this is only possible from an interest only mortgage or a long term repayment mortgage then you can only apply to interest only mortgage lenders or lenders that have a longer than usual term. With this profile you can approach a mortgage broker and he/she will be able to source a lender that meets your profile. I would advise that you make an application with a lender before you find the property so that when you do find a property you can act quickly if need be. A local mortgage broker can be found quite easily through the yellow pages or www.yell.com. You can use my mortgage broker if you wish. Her name is Liz Syms and she can be contacted on Tel: 01708 443334, Fax: 01708 470043. If you mention the reference: Ajay Ahuja, you will receive a discount of up to 50%. She is very good – this is why I use her! If not, I suggest you still go for a buy-to-let specialist mortgage broker.